If you have an entertainment room in your home, you should take full advantage of its potential to truly emulate the authentic cinema experience with automation solutions for your home theatre. Ensure that your home theatre really lives up to its title with a few simple home automation solutions. One way to really recreate a theatre setting is to ensure that the lighting is just right. You can do this by adding accent lighting to the room (underneath the seats, lining the baseboards or shining on wall art) for the kind of multidimensional effect that you’ll encounter in a cinema. With the push of a button, you can transform your brightly-lit living room into a dim theatre environment. For example, you can set a program in which pressing the play button will dim the lights over the course of five seconds while pressing the pause button will bring the lights up by 30 percent. Smart lighting systems are incredibly flexible, and you can even program different styles of lighting for different genres of films. A great sound system is crucial for any home theatre. The first step in achieving this is to ensure that your speakers are placed in the ideal locations across the room. Your main speakers should be placed in such a way that they form a triangle with the seat at the center of the room while the sub-woofers are placed near the middle of the viewing area. Finally, the surround sound speakers should be located on either side of the seating area. Once you’ve established the perfect locations for your speakers, you can automate your sound system to do all sorts of great things. You can program the sound to switch between background music and the film’s audio, fading in and out as you push the play and pause buttons. Another great solution is to program the sound to fade slightly when your smart doorbell or phone rings. 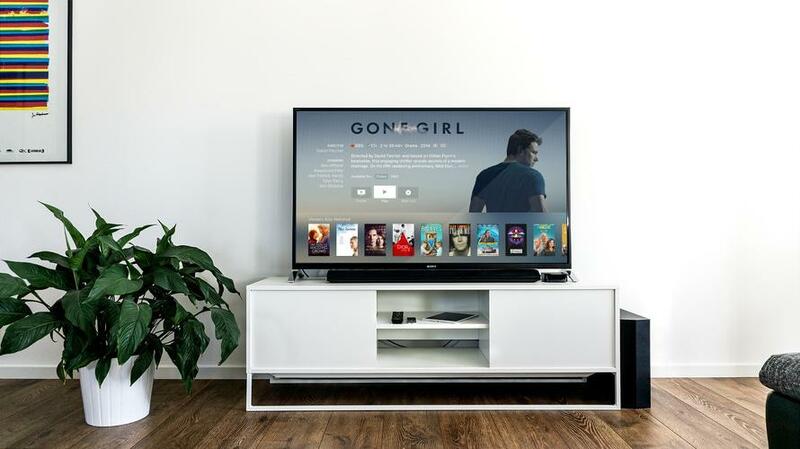 If you prefer to stream films, you’ll want to ensure that you have a strong internet connection. Otherwise, you may have to keep waiting for the film to buffer, which will only take you and your guests out of the immersive cinema environment. This is particularly crucial if you’re using a Virtual Private Network to access streamable content that is only available in other countries (Secure Thoughts has a separate guide for that). You’ll need a reliable VPN that won’t lose its connection to work well with your entertainment system. To seamlessly operate your home theatre along with all of the other smart devices and automated systems in your home, it is important to have a single control hub. Run all of your home automation from the same system so that you don’t have to use multiple remotes to control different functions. There are plenty of systems that allow you to control all functions from your smartphone, which is the perfect way to keep everything organised in one central location. These simple automation solutions for your home theatre certainly impress your guests on your next film night! Do you use any automation to improve your home theatre experience? Share your tips in the comments section! Author Bio: Caroline is an entertainment and technology blogger who loves to host movie nights. She is always up-to-date with the latest film releases and technological developments that improve the viewing experience.